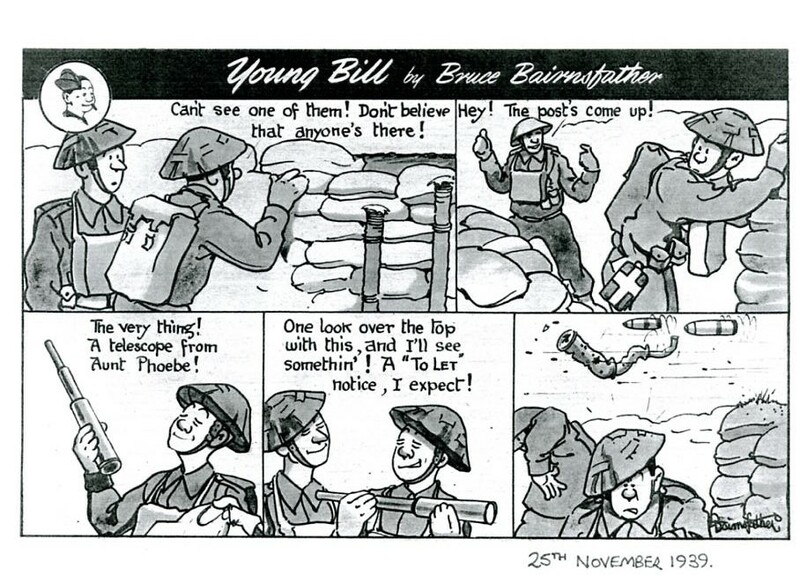 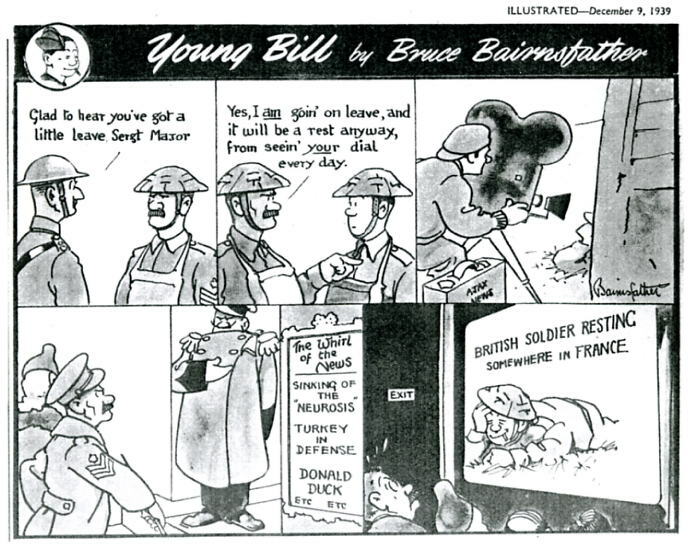 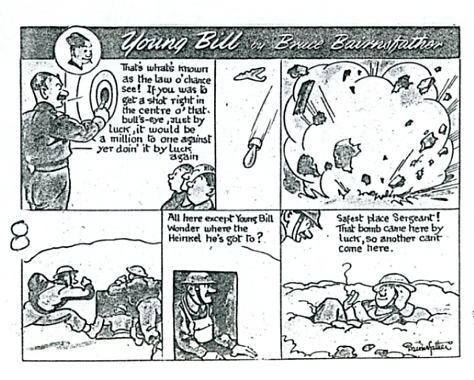 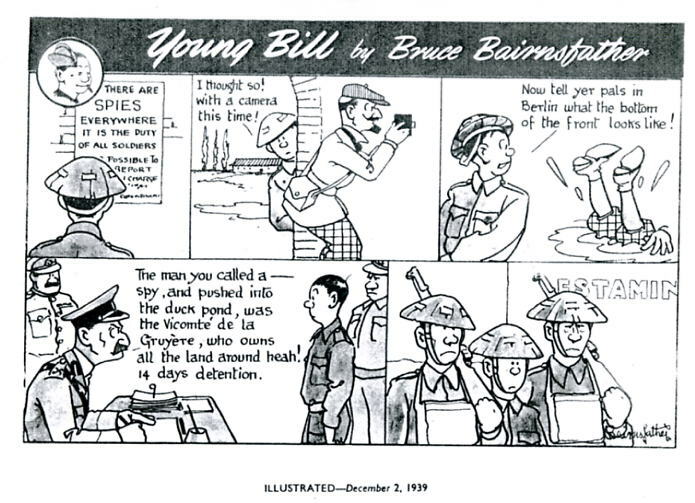 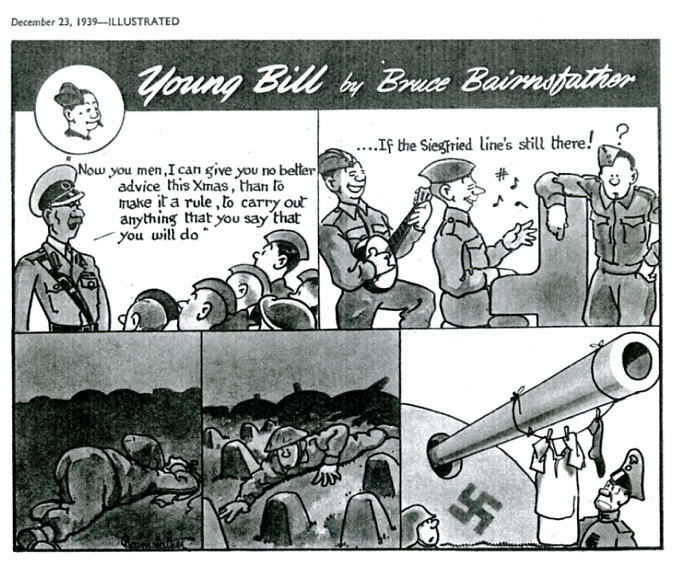 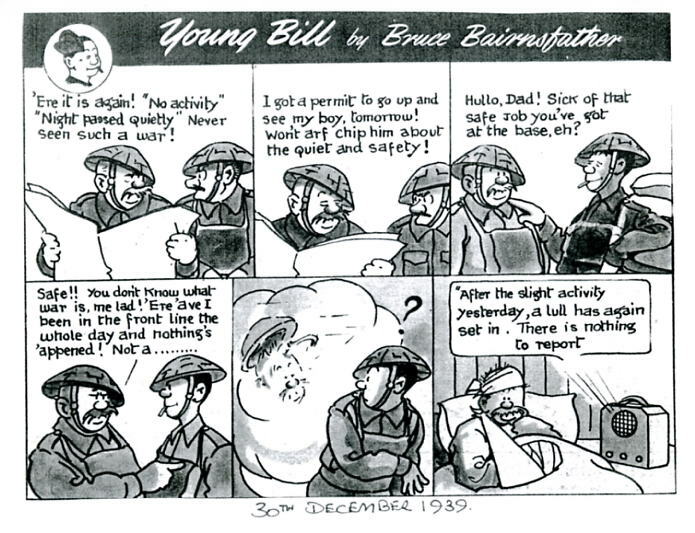 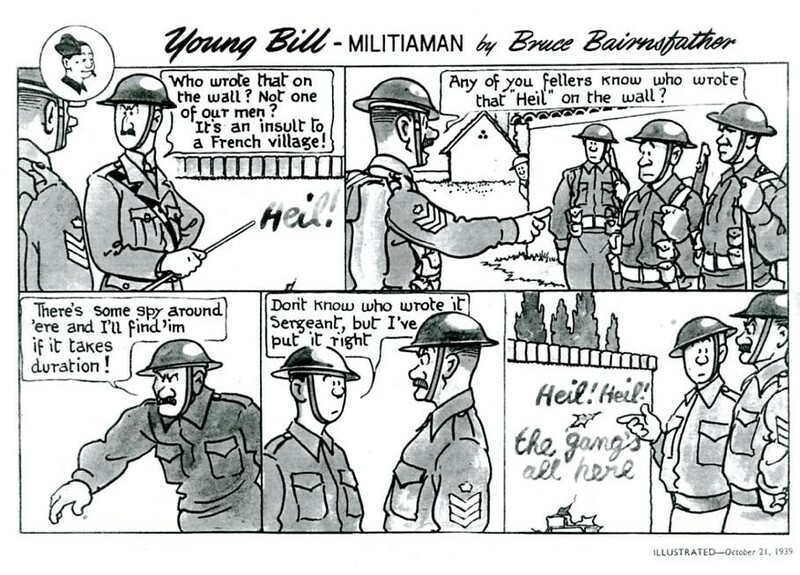 In September 1939, as the Second World War began, Bruce Bairnsfather devised a new strip cartoon featuring Old Bill's son, Young Bill, to replace his weekly strip The Simple Soul, which had been running in Illustrated magazine for the last six months. 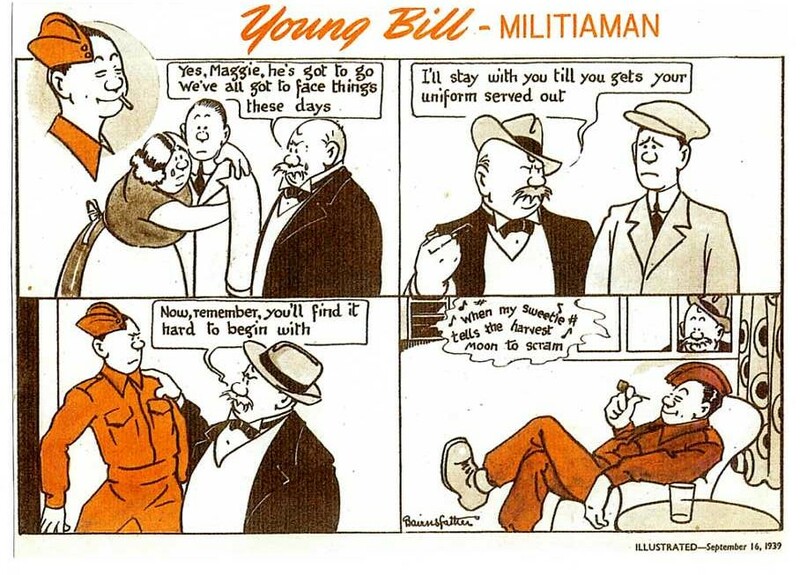 'Young Bill - Militiaman' made its debut in Illustrated on 4 March 1939, and followed Young Bill through his militia training. 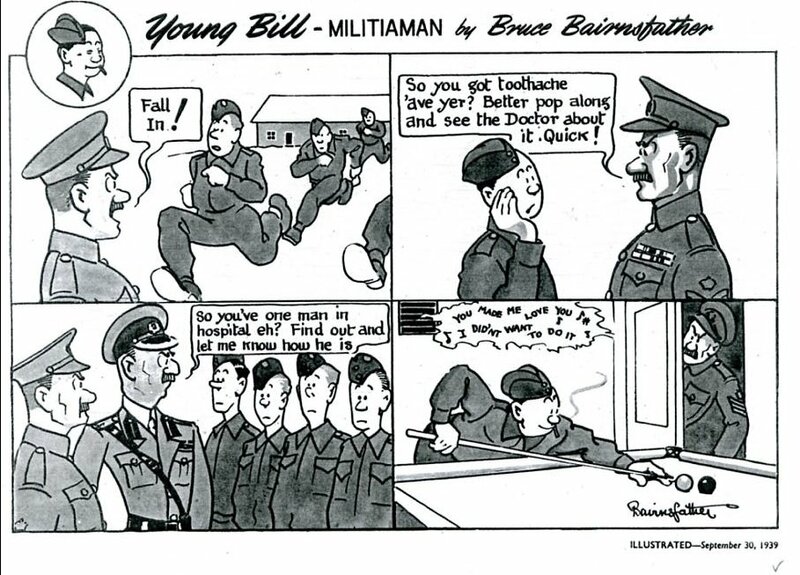 'Militiaman' was dropped from the title from the issue of the magazine dated 5 October 1939, Young Bill having completed his training and been assigned to military duty. 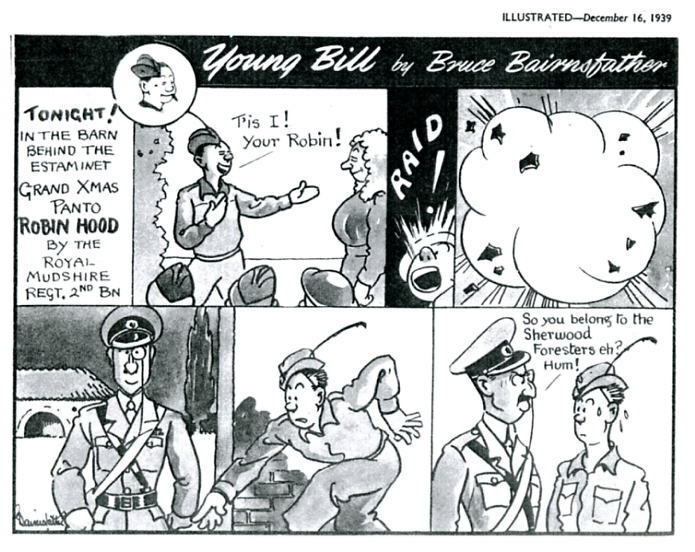 The strip continued to run in Illustrated every week for the next three and a half years, until 15 May 1943 (by which time it had become a single panel feature) and followed Young Bill's adventures as a soldier of the modern Army of WW2. 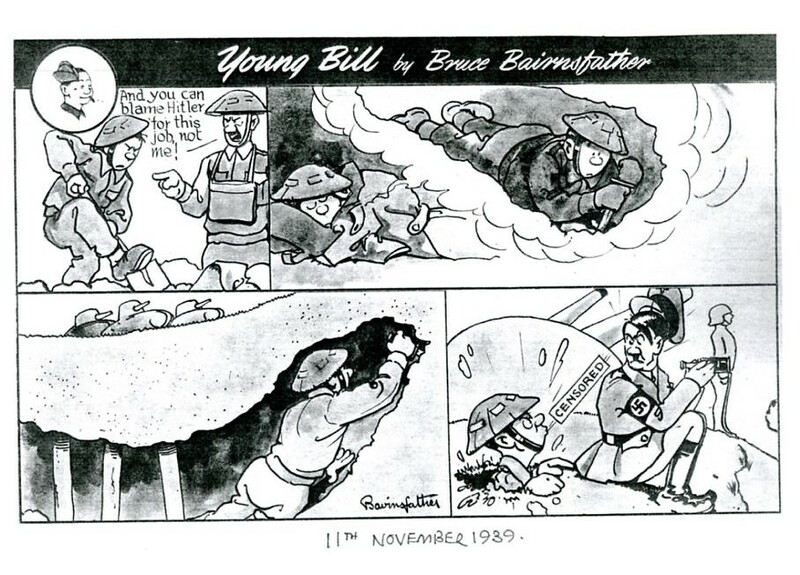 During the course of the strip's run, Young Bill was given a medal for conspicuous gallantry, appeared in a regimental pantomime, and saw service in Egypt, Malaya and Burma. 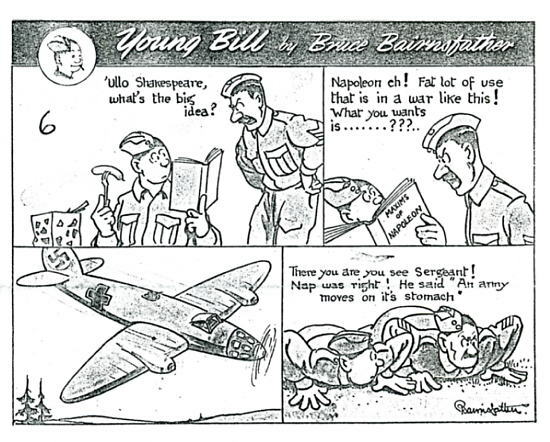 He was pressganged on to an American Destroyer whilst on leave, mistaken for a deserter and sent on a mission to mislead the enemy, only to be picked up by a ship with his own Sergeant on board. 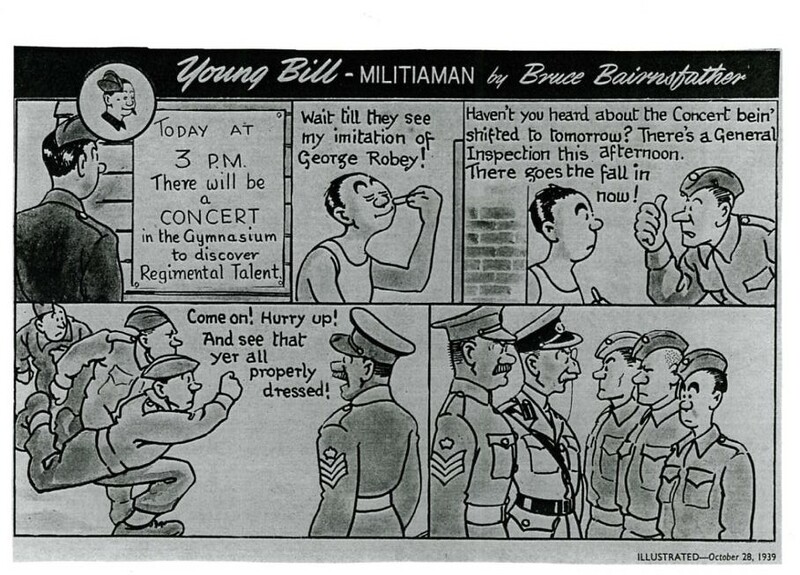 After being court martialed for desertion (and found not guilty) he saw service in Burma. 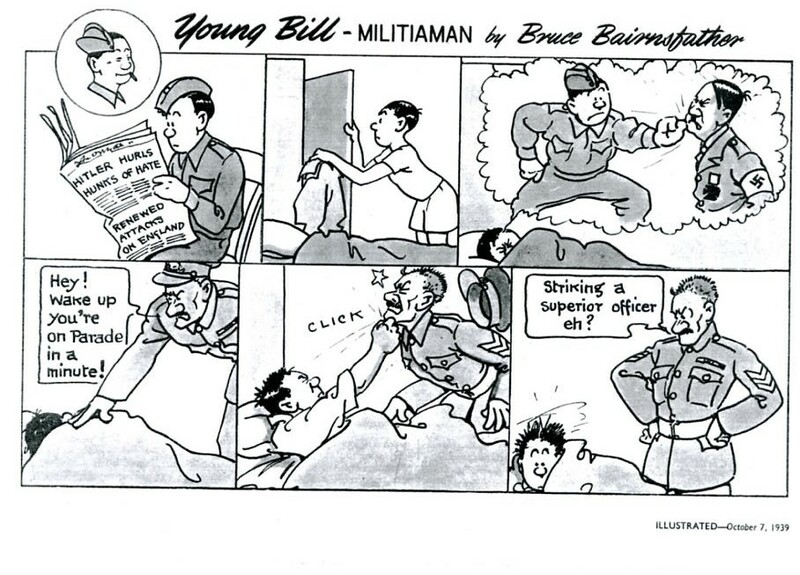 Below are some examples of Young Bill strips.